Whether you are accused for a crime against a person (like assault or murder), a crime against property (like shoplifting or theft), or any other criminal offense, a criminal lawyer can help. Use LawRato to consult a top rated criminal lawyer in Damoh to defend your rights at each stage of your case - from filing an anticipatory bail to a regular bail to an appeal after conviction or to quash an FIR. How a criminal lawyer in Damoh helps you? 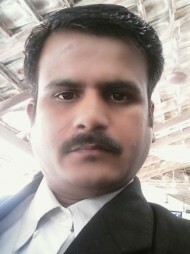 A criminal lawyer in Damoh can satisfy numerous imperative jobs over the span of a criminal case. The individual in question represents an accused against any criminal allegations brought by the prosecutor from the time of arrest to trial and in appeals, if any. A criminal attorney likewise attempts to get the case expelled or to arrange an ideal plea to diminish the criminal accusations. How to locate a criminal lawyer in Damoh? On the off chance that you have to procure a criminal lawyer in Damoh it is vital to enlist the best lawyers for your case. For the most part, this implies it's a lawyer whose practice area is in a similar zone as your legal issue, and it's a lawyer you can afford. It's ideal to look into the lawyers you're thinking about to contract, and once you've limited the field, it's useful to have an underlying consultation with two or three your top decisions. How much does a criminal lawyer in Damoh cost? In all cases, it's insightful to counsel with an assortment of criminal defense lawyers in Damoh to discover one you feel great with in speaking to you and get a feeling of the costs included. Why do you need a criminal lawyer in Damoh? Finding a decent criminal lawyer in Damoh can be challenging as there are a great number of criminal lawyers to browse in any region in Damoh. What you need is a group of criminal lawyers who are outfitted with the old and most recent criminal law decisions and are likewise proficient at most recent innovation to help you in conveying better and quicker administrations. Great criminal lawyers in India need consistent access to legal points of reference, reference materials, and automated assets including the Internet, even while progressing to have the capacity to give the best criminal law services. Regardless of whether you are accused for a crime against an individual (like attack or murder), a crime against property (like shoplifting or burglary), or some other criminal offense, a criminal lawyer in Damoh can help. Use LawRato.com to counsel a top of the line criminal lawyer in India to safeguard your rights at each phase of your case - from filing an anticipatory bail to a regular bail to an appeal after conviction or to quash an FIR.